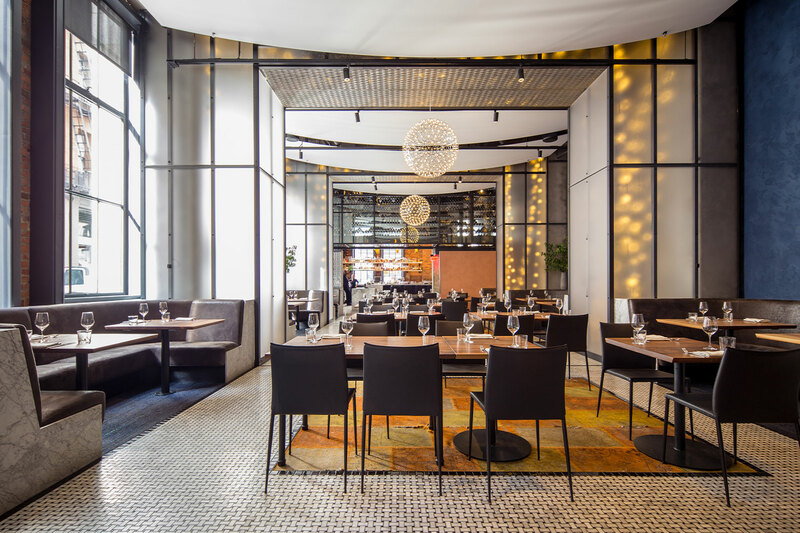 Recently honored with a Michelin Star, this modern Moroccan restaurant offers a carefully curated dining experience and environment. Upon entering 140 New Montgomery—the historic Pacific Telegraph and Telephone Building—guests encounter an exposed, existing concrete structure. 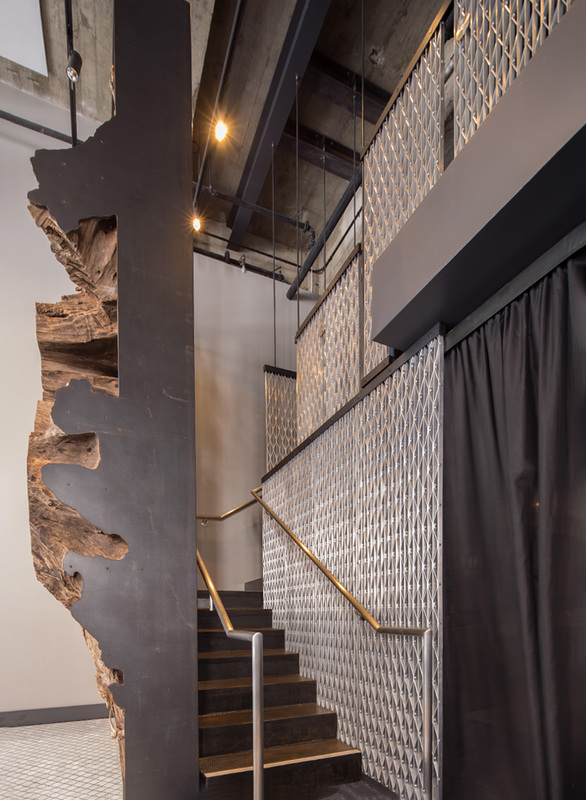 Working with a dual palette of refined and industrial materials, Lundberg Design created an elegant and raw space. Holmes Fire provided the fire engineering solutions at Mourad with special attention to the glass-enclosed wine bridge by the entrance. The wine bridge hangs above the lounge separating the bar from the dining room. The bridge is comprised of a steel Vierendeel truss that hangs from the structure above and ties into the existing columns. The structure is also designed for special loading criteria for seismic weight. This climate controlled steel and glass structure displays the restaurant’s wine collection which is visible from the side and below. 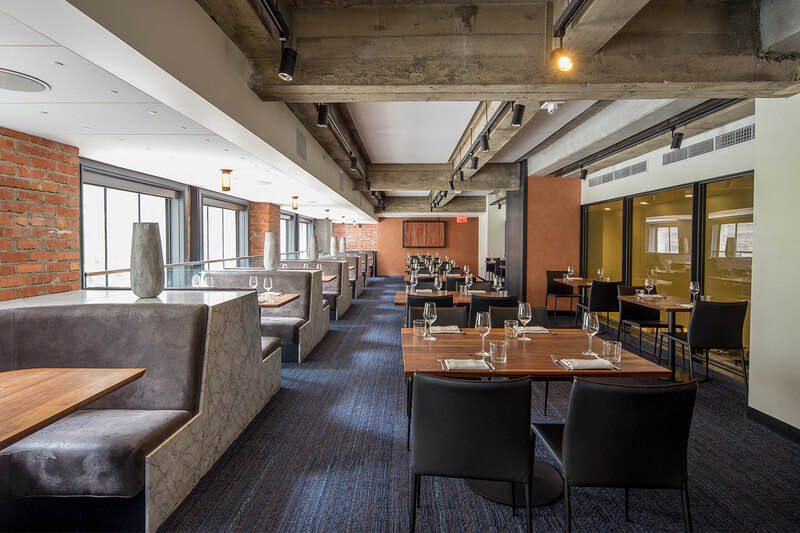 A new mezzanine creates additional space for dining, back of house and mechanical spaces. With limited shear walls to tie into the metal structure, the mezzanine required a unique design to achieve the open architectural goal. Two new feature stairs made of bent steel plate compliment the space. One stair hangs from the beams above and the other features a single stringer. Industrial grating typically used on flooring was applied vertically to create the banister walls.